Today could have been your birthday, the day where I would have met you for the very first time and felt love at first sight once again as I looked at your little face and wondered how your Daddy and I could have made something so absolutely beautiful. Today would have been painful, long and tiring but also the most joyous day of my life, in joint place with the birth of your big brother of course. Today would have been exciting, meeting another love of my life, what better day could anyone have asked for then that? Today would have been the day when you were named, when you were dressed for the first time and had your first ever photographs taken. Today would have been the day to hear and read the word 'congratulations' multiple times while we all basked in your wonderful presence. Today would have been the day I became a mother for the second time and began a new adventure in motherhood with you by my side. It could have been your birthday... but you're not here. Instead I'm alone, thinking about you all day but thoughts aren't enough, I want to hold you in my arms, cuddle you, feel your baby soft skin, smell that new baby smell and take in every detail of your beautiful little face. Our adventure, however, was sadly not meant to be. Your story ended too soon. I think about you a lot. I think about how you would have been and what you would have looked like, my amazing little son or daughter, another beautiful child to bless my life and how lucky I would have been to have two beautiful children. All I can do is think because I'll never truly know what you would have been like. With all my heart I love you, someone I have never met nor know nothing about but you were mine and for that fact alone you are my angel, one who I will hopefully meet someday. After you left me life was hard. I felt so alone, abandoned and defeated. I felt, and still do sometimes, that I had nothing to look forward to and I can become quite sad but I know that the sands of time heal all and through these dark days one day a rainbow and sunshine shall come. I wonder what lesson the whole experience of knowing of you and then losing you was supposed to teach me. I truly believe everyone has a predestined fate, that you were meant to come into my life for a reason and give me some enlightenment. I think you taught me some valuable life lessons and for that I am so appreciative. I've learned that wondering and thinking too much isn't good for me, I've learned who really matters and who will be there for me no matter what, I've learned what it is to really have something to cry about and I've learned to appreciate your Daddy and brother so much because all we have is each other. I think you somehow know what I wrote in my letter to you about how I'll always remember you and how I'll know when you're near. A robin visits our garden quite regularly, butterflies always seem to appear when your brother and I are in the garden, I found a birds feather without any reasonable explanation about where it came from and just this week a rainbow appeared before me when I stepped onto the beach after what had been a gloriously sunny day. It may seem silly to some but I think that was you letting me know you're thinking of me too. 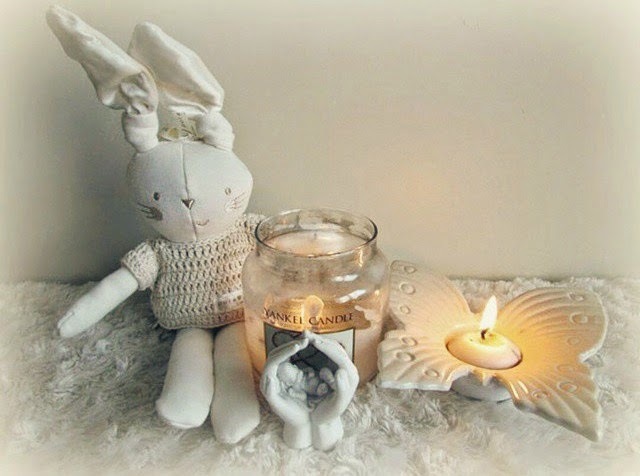 I light candles for you today and keep hold of the soft toy I put away for you when I found out I was expecting you. You're always in my thoughts. I'll end with a big happy birthday wish little angel, although we'll never know, if this day we could have met and fallen in love once more, instead of being alone with just thoughts, wonderings and sorrow. Thats gorgeous Fi. Thoughts are with you today, you strong lady. Losing a baby is so hard, and can take a long time to come to terms with. Happy Birthday to your little one today where ever he/she may be. I hope you get through the day okay. What a beautiful post, I'm so sorry for your loss. Sending prayers your way. Beautifully written and such a painful for topic, done with dignity and grace. So beautifully written! My thoughts are with you and your sweet baby today! This is a beautiful post. I'm sorry for your loss. 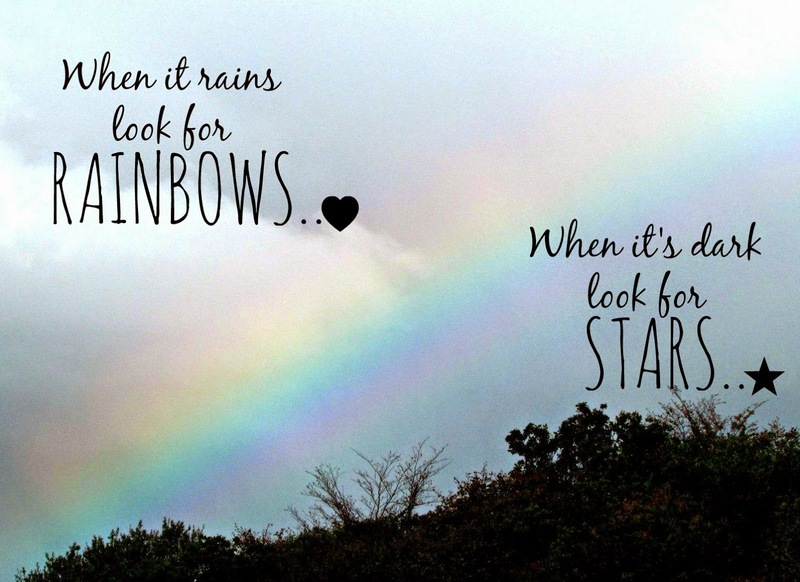 Beautiful quote, pictures and writing! My friend just went through something extremely similar and it hurts to know ho soften it happens to women. No one talks about it. My heart is with you. This was hard to read. I'm glad that you are sharing your story to encourage others who are going through this. Sending you so much love. xo. wow. this is beautifully written. i'm sending you lots of good thoughts and support! Thinking about you dear friend. I'm sorry for your loss and hope you find piece and comfort. Angel babies always look out for their mamas. These are such beautiful words for a hard time. Thank you for sharing. What a beautiful post. My thoughts and prayers are with you. Such a beautiful post! I can't imagine the pain a mother feels to lose a child. So very sorry for your loss.